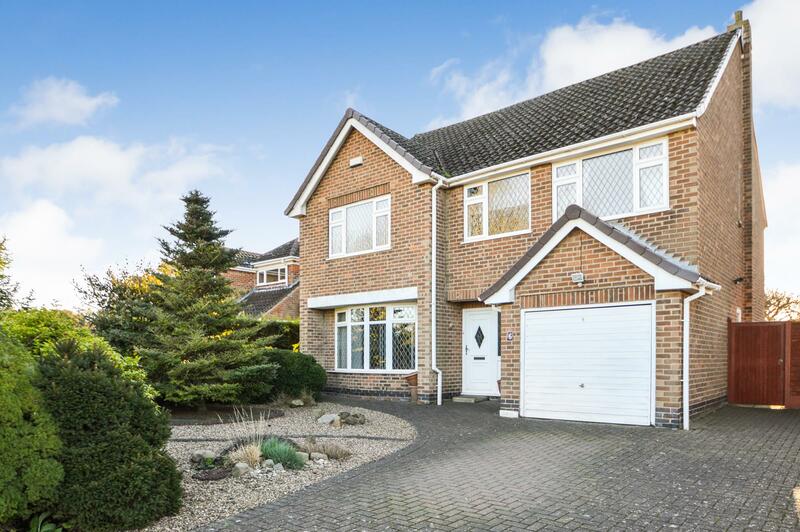 Benjamins are delighted to bring to the market this spacious four bedroom detached family home. The property is situated in the much sought after residential village of Keyworth on Nicker Hill, offering local amenities including shops, schools, medical centre, sports facilities, and public transport. The property benefits from a recently refitted kitchen, gas central heating system, double glazing and solar panels and briefly comprises : Entrance hall, downstairs wc, living room, dining room, breakfast kitchen, four good size bedrooms to the first floor and shower room. Outside there is a driveway providing parking for several vehicles and giving access to a single garage. There are attractive gardens to both the front and rear of the property. An internal inspection is highly recommended to appreciate the size of this well presented home. With obscure double window to the rear aspect, part tiling to walls, wc, vanity wash hand basin with cupboards beneath and a built in cupboard providing useful storage. With a walk in square double glazed bay window and French doors to the rear aspect, coving to ceiling, radiator, ceiling light fitting and Karndean wood effect flooring. With double glazed bay window to the front aspect, ceiling light fitting and three radiators. With double glazed window to the rear aspect. Having recently been refitted with a modern range of white high gloss units including full height larder cupboard and corner carousel cupboard. Granite effect work surfaces, double stainless steel sink unit and drainer with mixer tap over, concealed lighting, part tiling to walls, integrated appliances to include dishwasher, fridge and freezer, electric double oven and induction hob with extractor unit over, ceiling spotlights, and double glazed door to the side aspect. The gas central heating boiler is also concealed within the kitchen and the current owner informs us this was replaced in January 2017. A particularly light and spacious area , with a double glazed window to the front aspect giving pleasant views. Carpet to flooring, radiator, access to the loft and doors to the first floor rooms. 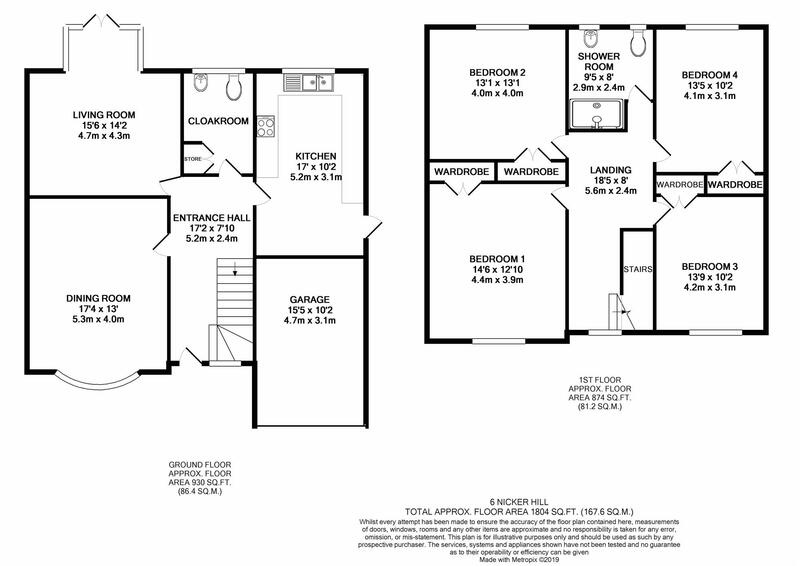 With double glazed window to the front aspect, wood effect laminate flooring, coving to ceiling, radiator, ceiling spotlights and two built in wardrobes. With double glazed window to the rear aspect. Two built in wardrobes, wash hand basin with tiled splash backs and cupboards below, wood effect laminate flooring, spotlights, ceiling light fitting and radiator. With double glazed window to the front aspect. Radiator and built in double wardrobe. With double glazed window to the rear elevation. Radiator and built in double wardrobe. With two obscure double glazed windows to the rear aspect. Fitted with a white suite incorporating double walk in shower cubicle with electric shower, vanity unit with inset wash hand basin and cupboards beneath, wc, tiled walls, chrome heated towel rail, tiled effect flooring and ceiling spotlights. To the front of the property there is an attractive well stocked mature garden with paved and gravelled areas. A good size driveway provides parking for several vehicles and provides access to the garage. To the rear there is a pleasant garden with patio areas ideal for entertaining. Enclosed by brick walling and fencing the garden is will stocked with mature plants trees and shrubs, shaped lawn and attractive gravel and slate borders. There is gated access to the front of the property from the rear garden and an external water tap.